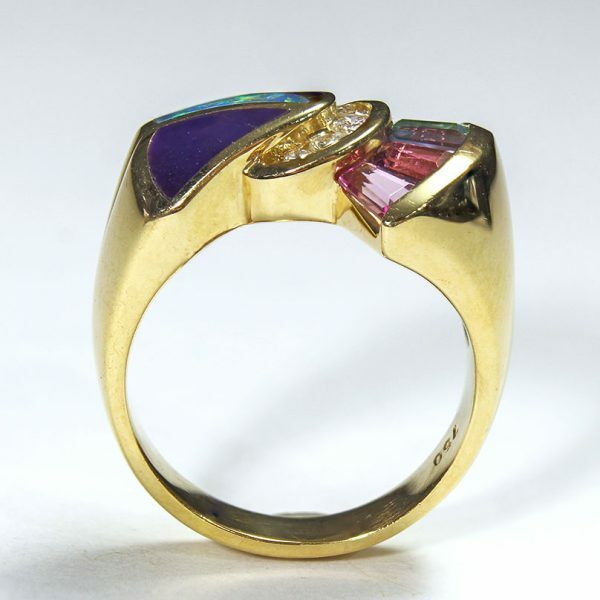 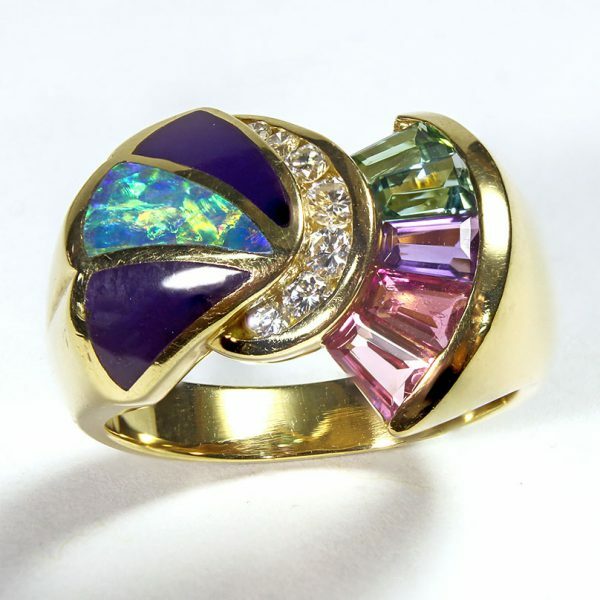 A highly unusual piece that features five different colors of Tourmaline, Opal, and white Diamonds. 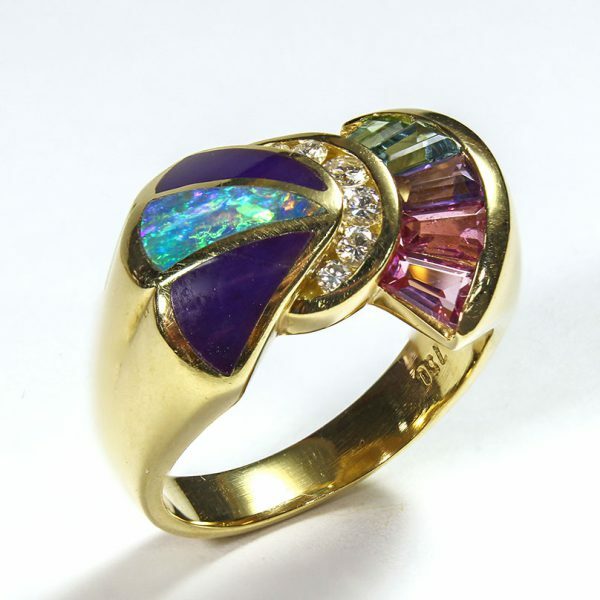 The Tourmalines are all excellent in gem color and gem quality. The Stones are arranged in a swirl-like pattern that is very fashionable. 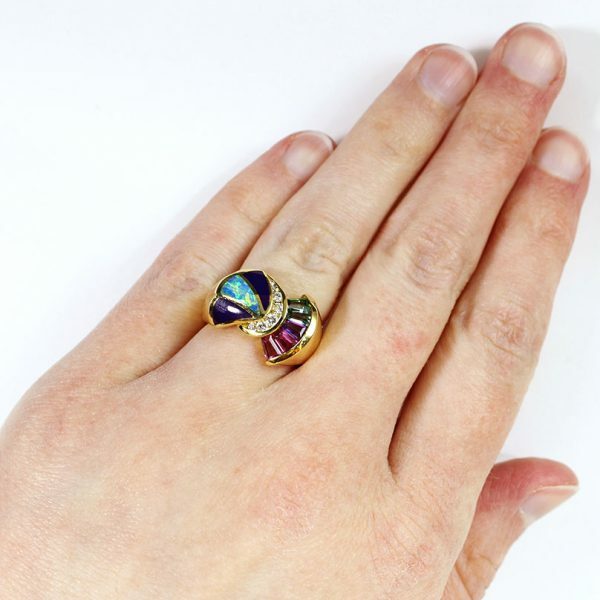 The ring is made from 18kt Yellow Gold.